This is a limited edition single malt Irish whiskey from Hibernia Distillers. 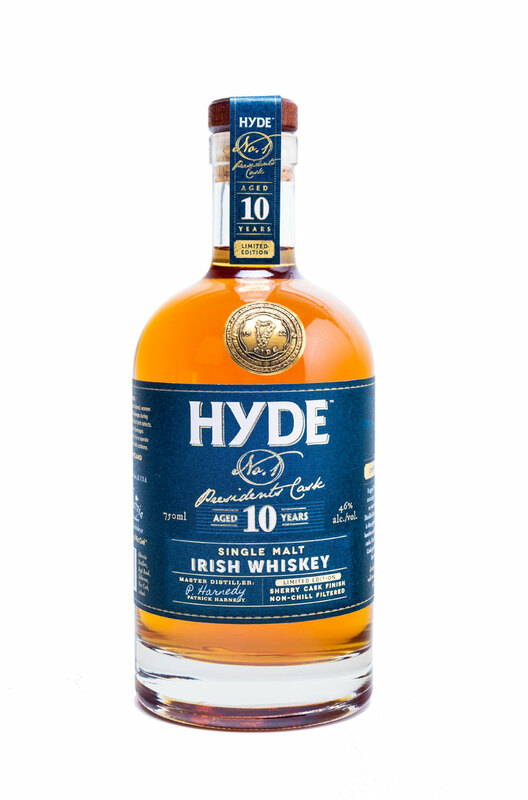 The name Hyde comes from the first President of Ireland (1938-1945). It is matured in bourbon casks before it is finished in Oloroso sherry casks. 5000 bottles were made. Classic Irish on the nose. Some vanilla and loads of lemon grass. Oak, a mixture of fresh and dried fruits, pepper and some spices in the taste. The spices stays in the finish and a lot of vanilla comes forward. Fresh barley is very noticeable in the taste and finish though, but not in the bad way. A fresh Irish whiskey full of spicy notes. I like that touch and it goes well with the fresh barley, citrus and sweet notes of vanilla. A classic, yet a very different Irish dram. Good choice from the blender at Hibernia Distillers. I will give this 83/100 (20/21/21/21).